Six easy ways to make life with your pets more harmonious. Six moyens simples de vivre plus harmonieusement avec vos animaux de compagnie. Allergens in the air can be reduced by keeping pets out of bedrooms, dens, or living rooms with upholstered furniture. If you think you have animal allergies, get allergy testing done before you choose a pet. Consider vacuuming regularly and pulling up rugs and carpets in your home, which cling tight to pet dander and other allergens. Assign these tasks to a non-allergic family member to avoid allergy triggers. Waste from rabbits, hamsters, mice, and guinea pigs can be a source of allergens. Cage cleaning should be done by a non-allergic family member. Keep pets out of bedrooms and especially off beds to help reduce the allergic effects of their dander. 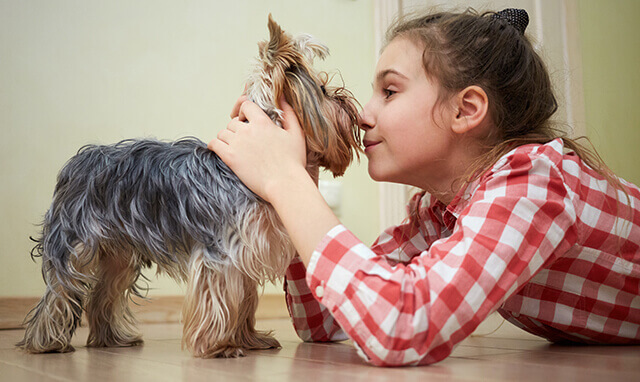 Have a non-allergic family member brush pets regularly and only outside your home. This site is published by McNeil Consumer Healthcare, division of Johnson & Johnson Inc, which is solely responsible for its content. © Johnson & Johnson Inc. 2007-2018. This site is intended for visitors from Canada only. LIQUI-GELS® is a registered trademark of Catalent Pharma Solutions Inc. Please note that this content is not intended as professional medical or healthcare advice, or as a substitute for either professional healthcare advice or services from a qualified healthcare provider such as a physician, or other professional familiar with your unique situation. This content is intended solely as a general product and educational aid. If you have any questions, please consult your physician or pharmacist.